Little critters with glowing eyes for Halloween. We’ve called these 'Glo-bobs' as they are designed to thread onto glow stick bands. 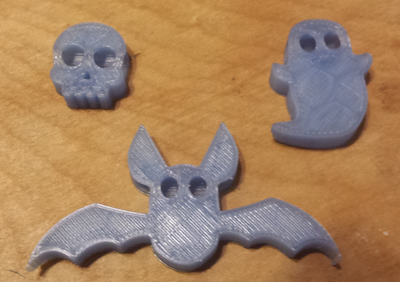 They print quick, make great alternatives to halloween sweet treats and keep little monsters visible in the dark. 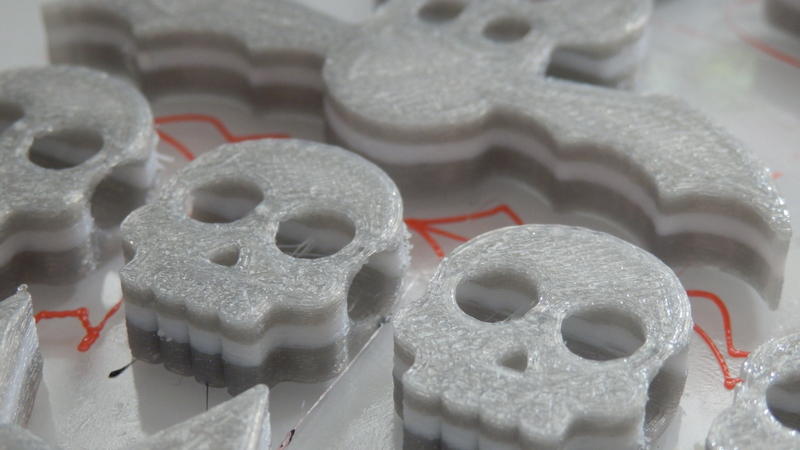 Printed with a BQ Hephestos V2 in FilaFlex material - the prints are Fantastic! Good results. A little lifting at the sharp corners of the bat and the ghost tail.